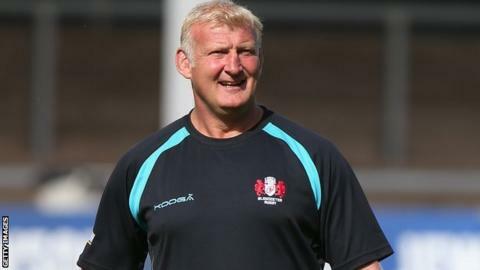 Gloucester defence coach Paul Moriarty has left the Premiership club, following the departure of director of rugby Nigel Davies. Moriarty, 49, was one of Davies' first appointments in July 2012, having worked together previously at Scarlets. Davies left the club on Monday after a disappointing second season, in which they finished ninth in the table. "Paul is out of contract and we have informed him it will not be renewed," said chief executive Stephen Vaughan. "He's worked incredibly hard at the role, no-one can fault his application and dedication. "However, defence is one of the most important facets of the modern game and we plan to introduce a new approach and philosophy in that area. "Accordingly, we feel that with a new director of rugby being sought, it's only right and proper that we allow that individual to have a say in the recruitment of new coaches." A former Wales dual code international, Moriarty has also coached at Swansea and Newcastle Falcons.